Mobile World Congress 2015 kicks off next week and now Acer has announced that they will be launching some new smartphones and wearable devices at MWC. The company posted the photo above on Facebook and also said that they will be launching their ‘new smartphones and wearable’ at the event. Acer has not revealed any any information on their new devices, although it looks like the company will launch at least one smartwatch or wearable device and at least two new smartphones. 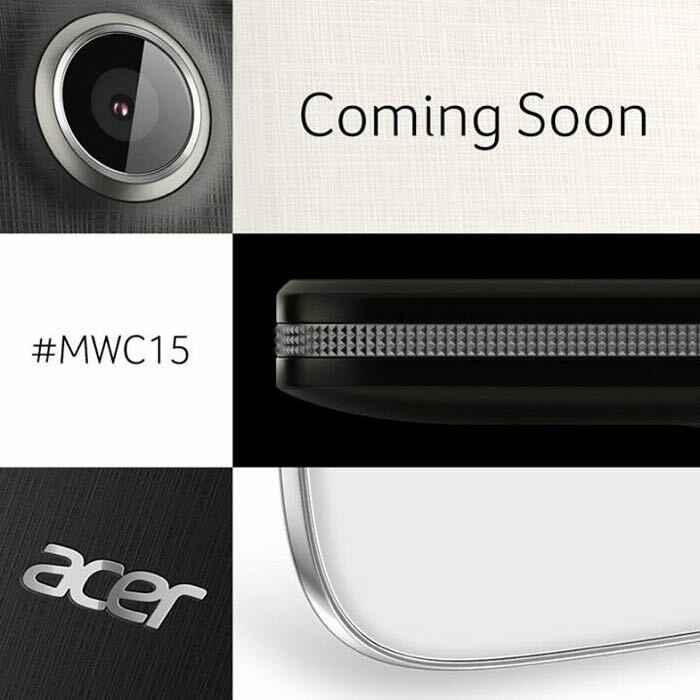 We will have more information on exactly what Acer will be unveiling at Mobile World Congress 2015 next week.